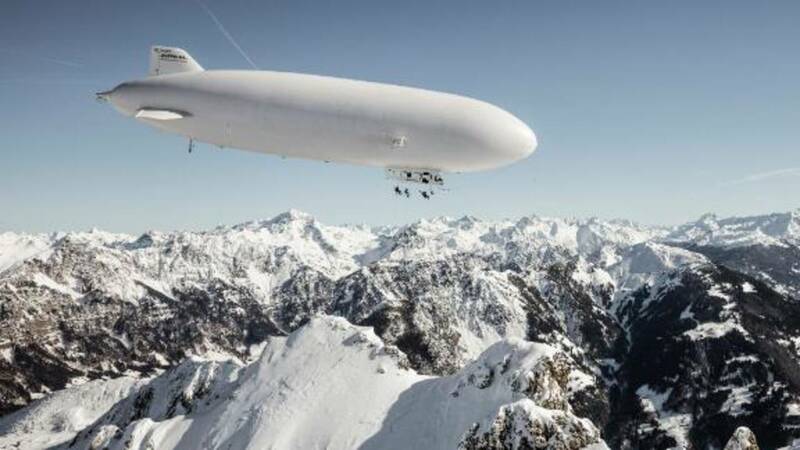 (CNN) - The giant Zeppelin hangs above the Alps like the spaceship of another planet descending on our own. But skiers Stefan Ager, Andreas Gumpenberger and Fabian Lentsch, come in peace; a trio seeking to achieve a world first. "We saw a Zeppelin circling around the sky," recalled Ager of the light-hearted afterthought that led to the daredevils setting sail aboard their sky-ship from Friedrichshafen, Germany. "As a joke, we just said: 'Let's do Zeppelin-skiing.'" Two years later, as they abseiled down a 50-meter rope onto the 7,326-feet Kleiner Valkastiel summit atop the Austrian mountains, a pipedream inched closer to fruition; the ambition -- to ski down the peak's pristine Alpine slopes. According to Ager, from the trio's own research, these slopes had never been skied before, though the skiing was a piece of cake compared to being dropped on top of the Kleiner Valkastiel. "It was the biggest challenge we'd ever faced," Ager told CNN. "The skiing, which is normally the toughest aspect, was the easiest part this time. It was probably 20% of the challenge. The rest was getting the permits, getting the Zeppelin company to agree to do it, getting the legal rights." Even for a freeriding group whose previous expeditions have included hot-air balloon-skiing and a perilous trip to Pakistan to conquer a 6,000-meter peak, traveling in a airship provided a rare thrill. "You cannot get rid of your smile because it is so surreal," Ager recalled. "The feeling is somewhere between a hot-air balloon and helicopter. A helicopter can go anywhere, and it is already cool to fly. "A balloon is cool because it is almost silent. But the Zeppelin is just so unreal, and it is a crazy feeling even just to sit inside of it -- it is such a small cabin. You look out of the window and you can see the rear propeller 60 meters away from you." When the Hindenburg was flying during the 1930s, people were so sure airships would dominate air travel that the top of New York's then-new Empire State Building was outfitted with a mooring mast where airships could attach. "The airship is just stunning," said Ager. "It is so majestic. You are impressed when it is just there in front of you. It is not normal. Most people don't even know that they still exist." Requiring two years planning the trio's adventure wasn't without snags -- a flight test in the fall of 2018 failed to conquer the peak's mammoth altitude due to warm temperatures. "Our actual fear was of whether we would be able to make the height," Ager said. "It [the Zeppelin] is meant to go up to 1,000 meters above sea-level, but we needed it to go higher in order to get it to the mountains. It is not built for that. "Throughout the whole flight there on the way to the peak, we were not sure whether we would be able to make the height. As we approached the mountain, that really was the first point of relief because it was the first time we knew that we would be able to make the height. 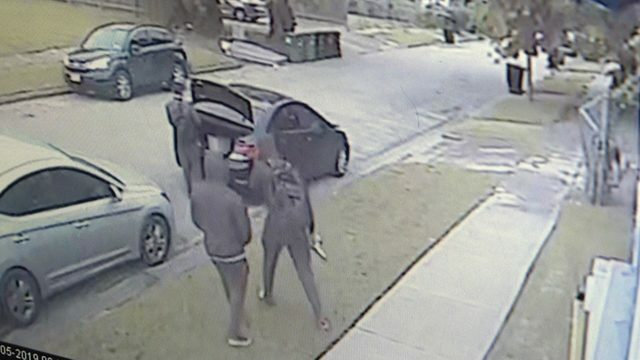 "We had to spare every kilogram we could spare. It meant there was no director on the airship, no photographer. Just one cameraman and us skiers. "Because it was reliant on the temperatures, it had to be very cold, no wind, clear weather, good skiing conditions and as little weight as possible. It was almost impossible to even find a day suitable to make the height." Finding a time at which the Zeppelin was not adorned in branding also proved tricky. Eventually, a period of three weeks was put aside for the adventurers. His colleague, Gumpenberger, added: "This was more than just abseiling off a giant zeppelin. The cabin of the airship had to be adapted slightly and the pilots were at their limits in points of flight altitude and range of the airship." Facing danger, however, is at the core of any extreme athlete's make-up. It is not so much that the risks are not considered, just that they are factored in and minimized. "We think that it is more dangerous to text and drive than to do Zeppelin-skiing," Ager laughed. "We plan it to the greatest detail we can possibly plan it. Once you've done that, you don't think about the risks anymore because, in your head, there are no more risks left. "The biggest risk is to ski down and even that is what we do for the whole year. For us, it is not dangerous. We do things like rappelling, skiing and paragliding all the time. "We try to minimize the risks to five percent. That five percent is not calculable in any sport or activity. It is more dangerous to drive to work than to do Zeppelin-skiing." The major hazard at play here, though, was not so much the risk of the Zeppelin overextending itself -- the pilot would not allow this to happen, but the ultimate possibility that after more than 700 days, this dream would die an anticlimactic death. "The danger was simply that we wouldn't be able to make the height, and we'd end up having to turn around and go home," Ager reflected. So what next for Ager, Gumpenberger and Lentsch? "There is no other flying objects that we can do," he chuckled. "I guess there is drone-skiing, where we hang onto an army of drones! We are not sure what's coming next. Without a doubt this is the craziest thing we have ever done." Indeed, when the freeriding trio finally touched down on an impeccable carpet of unspoiled snow, it was the culmination of an outrageous dream -- both of extreme sport and of planning.